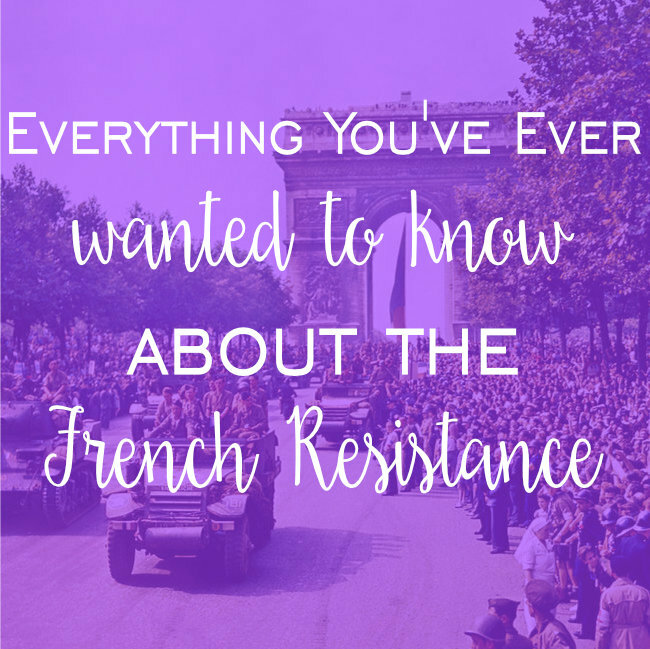 We’re taking a step back from our usual humorous and light blogging to come at you all with something serious this time: the French Resistance movement in France during World War II. Most of us know the history of one of the most terrible wars of all time, and it really strikes a cord with us at Sight Seeker’s Delight as owner Karen Reb Rudel, and many of our guides are of the Jewish faith. It sometimes feels like the unthinkable horrors that occurred during this time are just that: unthinkable. How could such cruelties happen to our neighbors and friends, with most turning a blind eye, too scared to fight back? Luckily, not everyone turned a blind eye. Karen has heard story after story of French resistance fighters since she has started our Jewish History of Le Marais tour, and now it’s time that their stories are heard. With so many tales of the destruction that occurred during WWII and the Holocaust, there are indeed stories of hope, and we are so honored to share a few of those stories with you here. 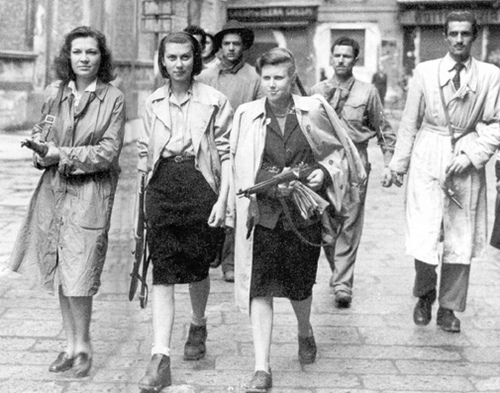 In honor of our new-in-the-works-after-high-demand walking tour on the French Resistance in Paris & Surrounding Areas, we’re here to talk to you about the amazing things that happened in France during this troubling time. As mentioned, most of us are familiar with what happened in Europe to those of the Jewish faith during the Second World War, but we’d like to share some background in case there are some readers that need a refresher. With Europe still reeling from the damage done by the First World War, many historians say that it was just a matter of time before a second World War would break out. With Germany being especially unstable, National Socialist Party (or Nazi Party) leader Adolf Hitler very easily rose to power, and began preparing to go to war with the world, signing alliances with countries like Japan and Italy. Hitler’s first step was to invade Poland, and upon doing so, engaged France and Great Britain into war. This was just the beginning. Hitler was not just interested in turning Germany into a super power – he had grand plans to “purify” the world with his “ideal” Aryan race. According to Nazi doctrine, the Aryan race refers to anyone who is of non-Jewish faith, is caucasian, and is especially of Nordic stock. To Hitler and his followers, this race was the superior one, and if you were not a part of it, you did not deserve to live. Hitler’s plan to “purge the Earth” of any non-Aryan’s is eerily called the “Final Solution” – known today as the Holocaust. His main target? Followers of the Jewish religion. When WWII comes to an end, over 6 million Jews have been killed. Let’s turn our focus to Paris, the capital of France (one of the first countries to declare Hitler’s invasions unjust). The war against Germany and Hitler’s army began in September 1939, and by June of 1940, Germany has successfully defeated the French and began to occupate Paris. Many of us are aware of the frightening photos of the German army marching down the famed Champs Élysées avenue, and from then on Paris was not the city of today that we all know and love. Soon, everything about life in Paris changes. Curfews are enacted, there are food shortages, many French citizens flee to the country to feel safer, and (perhaps most importantly) French Jews are now required to wear yellow Star of David patches on their clothing, to ensure that the German government could distinguish between Jews and non-Jews. The stars are just the beginning. Stores, restaurants, and even entire areas of the city are deemed as “off-limits” to Jewish people. Everyone is now required to have their official identity papers with them at all times. Sadly, even these restrictions are still just the beginning of the horrors the Jews were about to face. Between July 16-17, 1942, 13,152 Jews are rounded up by the French police and are sent to the Auschwitz concentration camp in Poland. This number includes 4,115 children. Life in the concentration camps (Auschwitz is only one of 42,500 Nazi ghettos and camps, but is definitely considered to be the most severe) is anything but ideal. Jews were starved, tortured, and eventually killed in mass killings that are so inhumane, it makes one wonder what Hitler and his soldiers could have been thinking. The devastation is almost unimaginable, but as crazy as it sounds, it actually did happen. Luckily, thankfully, and miraculously, the concentration camps were liberated in 1944 & 1945 by the allied forces. Although millions of Jews and other non-Aryan’s lost their lives, the killing and torture could finally end. The good triumphed over the bad: humanity could begin to become restored. While the majority of French citizens were terrified into silence and obedience by the Nazi army, there are a handful of Resistance fighters that decided to fight back against these evil forces. Read on to hear a few of their stories. Karen has been working very hard on preparing a new walking tour celebrating the French Resistance fighters. Sight Seeker’s has had the privilege of welcoming over 2000 Holocaust survivors and family members on our Jewish History of Le Marais tour, and we all have been moved from the personal stories that travelers have shared on our tours. It is these stories that have inspired us to begin working on this new walking tour. Just this past summer, Karen and close friend (and our resident French Resistance expert) Dr. Joanne Gilbert headed to the small village of Le Chambon sur Lignon in south central France. As Joanne beautifully puts it, “this village was responsible for a “Conspiracy of Goodness” in which approximately 5,000 Jews were saved from the Nazis. Karen and Joanne were thrilled to be given a private tour of the new “Lieu de Mémoire”—a Place of Memory” Museum, by the Deputy Mayor, Denise Vallant. Mayor Eliane Wauquiez-Motte, who was instrumental in the creation of the museum, graciously joined them for much of the tour, providing rare insights into the lives of the people who saved thousands of Jews.” A similar, more personalized trip is what we at Sight Seeker’s Delight are hoping to create. 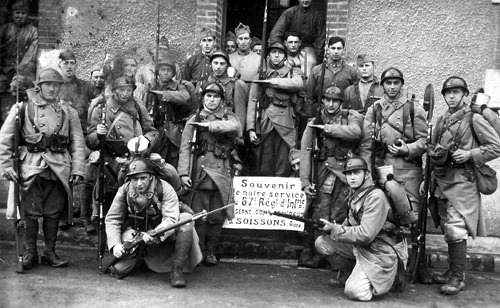 Many French Resistance fighters were instrumental to the movement. Read on to learn more about one in particular, Frida Wattenberg. Frida was just 16 years old when she began to fight for the French Resistance. Soon after the German occupation of Paris, Frida joins the OSE (Œuvre de secours aux enfants or Children’s Relief Fund), an organization responsible for helping poor children. Since the occupation began in 1940,Jewish children are no longer allowed to enter public squares, pools, or museums. With the help of the OSE, Frida begins to take children to the town of Gif sur Yvette to teach them to swim. Tragically, Frida watches her mother get taken away during the famous roundup of Jews in Paris on July 16, 1942. Frida helps her escape just a few days later, providing the German government with fake papers that stated her mother worked in a factory that was producing supplies for the German war effort. Her mother is then safely transported to the free part of Southern France. This is just the beginning of the brave acts Frida will accomplish during the war. Frida then meets French Resistance fighter Joseph Migneret. 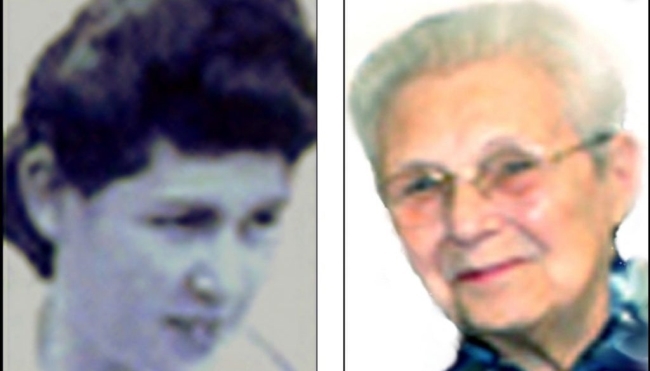 She helps Joseph create fake papers to give out to French Jewish families in order to help them escape the Nazi regime. With the help of Joseph, Frida obtains fake papers for herself, her mother, and her brother, and they successfully enter the free zone. Once there, Frida joins the ranks of the Jewish Resistance that fight against the Germans and for the protection of Jews in danger. One way Frida helped was in aiding Jews that were on the run from the Nazis safe houses with families willing to help her cause. Frida’s story is just one of thousands of French Resistance fighters in WWII. We hope that after reading a bit of her story, you agree that hers and all of the rest deserve to be heard. Stay tuned for more information on our brand new walking tour, French Resistance Tour of Paris and it’s Surrounding Areas! We hope to start giving this tour in Spring 2019. 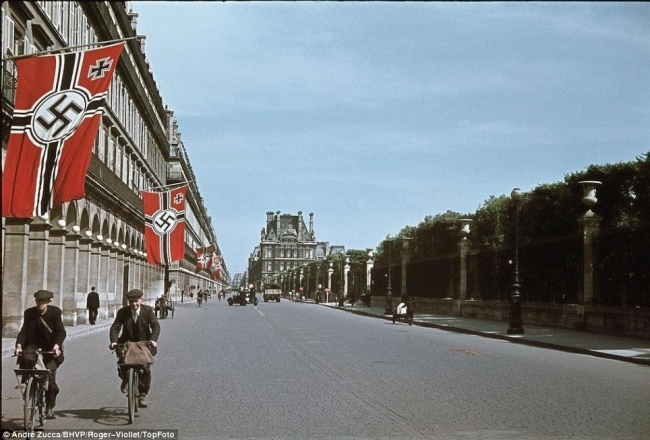 This entry was posted in History, News, Paris Activities and tagged Jewish, Paris, resistance, world war II. Bookmark the permalink. Wow. Thank you so much. I really can’t wait to return to Paris to take your tour! We really appreciate the support and look forward to having you on our tour! I would definitely be interested in doing this tour. Please email me more info when it is all set up. We did the Marais tour & really enjoyed it.